Combustion is a fascinating phenomenon coupling complex chemistry to transport mechanisms and nonlinear fluid dynamics. 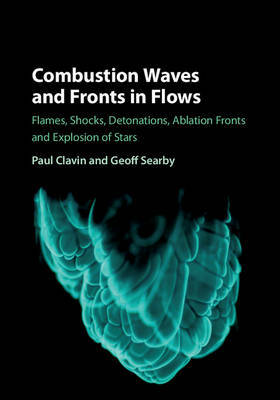 This book provides an up-to-date and comprehensive presentation of the nonlinear dynamics of combustion waves and other non-equilibrium energetic systems. The major advances in this field have resulted from analytical studies of simplified models performed in close relation with carefully controlled laboratory experiments. The key to understanding the complex phenomena is a systematic reduction of the complexity of the basic equations. Focusing on this fundamental approach, the book is split into three parts. Part I provides physical insights for physics-oriented readers, Part II presents detailed technical analysis using perturbation methods for theoreticians, and Part III recalls the necessary background knowledge in physics, chemistry and fluid dynamics. This structure makes the content accessible to newcomers to the physics of unstable fronts in flows, whilst also offering advanced material for scientists who wish to improve their knowledge.